life in my studio: Happy Thanksgiving! What a fun image, Debi! 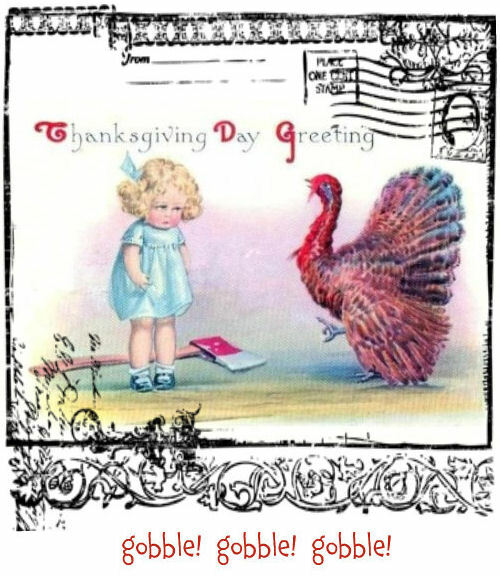 Wishing you a wonderful Thanksgiving, too! Happy Thanksgiving to you and your family! Enjoy your day and your beautiful home, and of course - THE SNOW! Perfect! (ps - I will be thinking of you as I begin to decorate my house!) YAY! Happy Thanksgiving, Debi - to you and yours. That is such a cute card!!! Happy Turkey Day to you, my friend. Thanks for you and all you share! Blessings dear.